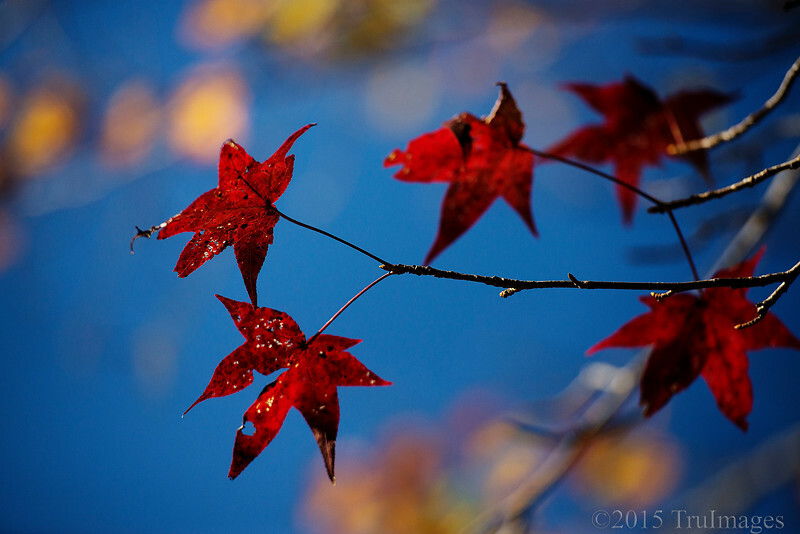 Star shaped maple leaves shine bright like red stars in blue skies. Beautiful comp, color and capture. Absolutely BEAUTIFUL - love the red (my favorite color) against that blue sky! Love the colors! Especially the deep red on the leaves.